The real story was never about how warmonger Israeli Prime Minister Bibi Netanyahu, a foreign leader, would crudely use the House of Cards, sorry, the US Capitol, as a lowly re-election bully pulpit to mould the US presidency and American foreign policy. A graphic indication is that while “Bomb Iran” Bibi was distilling his 39-minute harangue in Washington, US Secretary of State John Kerry and Iranian Foreign Minister Javad Zarif were engaged in their third round of nuclear negotiations in Montreux. The real story is also only partially about this perennial soap opera — the Iranian nuclear dossier. By the end of this month there will be a deadline to reach a framework agreement, and by June – optimistically – a comprehensive final settlement. What’s at stake at the highest level has been known to all major players for ages. Tehran won’t settle for anything less than a swift end to the current nasty, illegal package of sanctions. Yet Washington, under the cloud of the self-described "Don’t Do Stupid Stuff" Obama administration, keeps changing the goal posts as negotiations advance. The latest is a demand by Obama for a 10-year suspension of Iranian nuclear activity. Zarif called it "illogical" and "excessive". Well, as illogical as the trademark paranoia exhibited by the usual basket of US neo-cons and extreme right-wingers. Compare it to how Iran’s Supreme Leader Ayatollah Khamenei regards nuclear power – with all its implications; this has also been on the record for ages for anyone to see. Unlike the Cheney regime, the Obama administration seems to have reached a logical conclusion – facilitated by extensive Pentagon gaming; Washington can’t destroy Iran’s nuclear program – unless it would use nuclear weapons. Along most of the past decade, that was Plan A. Plan B is the never-ending "negotiations", which boils down to placing a series of restrictions on Iran’s nuclear program in exchange for a still very dubious end of sanctions. Yet the real objective of the Masters of the Universe who control the shadowplay in the Washington/Wall Street axis is to manage imperial decline. That implies, in Southwest Asia, a renewed Divide and Rule push, featuring Turkey, Iran, Saudi Arabia and Israel. Some key players in Washington are getting increasingly impatient with the House of Saud – what with its low price oil strategy bombing the US shale oil industry. Others worry that Turkey – after a key Pipelineistan deal, the Turk Stream – is moving away to Russia. Thus the option to sort of reintegrate Iran into a collaboration with the West, if not close, at least yielding profitable deals for Western corporations. Meanwhile, Russia and China are not standing idly, as they are an important part of the P5+1 negotiating team with Iran. Both BRICS nations can – and do — use Iran as leverage in how they negotiate with the hegemon, always finding ways to undermine the US "pivoting to Asia". As soon as relations with Iran are normalized, Tehran will be admitted to the Shanghai Cooperation Organization (SCO); currently it enjoys observer status. 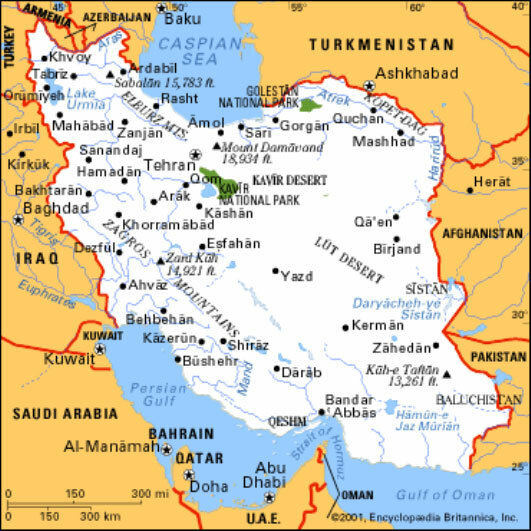 Washington dreads the move – as it will advance Iran’s Eurasian integration, and solidify a Moscow-Tehran-Beijing political/commercial axis. Russia already does very good business with Iran – from nuclear plants to weapons sales. No US deal with Iran will come through without a tacit Russian acquiescence – and the Americans know it. Beijing, for its part, tends to cling to the status quo – as in not desiring Tehran to get any closer to the West because that would mean a freer hegemon in its "pivoting to Asia" mode, which China, correctly, identifies as containment. Further on down the road, Tehran can use a rapprochement with the West to increase its bargaining power with Beijing. Assuming a deal is reached this summer, Tehran will be in an excellent position to extract concessions – on the economy, security, defense – from its Chinese partners. But the name of the game remains Eurasian integration. As for vociferous Bibi, all he had left was to once again try to sell Washington an Israeli war of choice against a demonized-to-oblivion Iran. It didn’t fly – as much as those usual suspects, the AIPAC lobby, bluntly ordered their shock troops to tell the House of Cards, sorry US Congress, that war is peace, and any nuclear deal is a deal with the devil. As argued by Trita Parsi, the real "existential threat" for Bibi is peace. Once again, the real story here is not a nuclear Iran; it’s the possibility of a US-Iran détente where Israel’s grip on US foreign policy is not ironclad anymore. Predictably, Bibi lumped as evil forces lurking in his "neighborhoo" everyone from Iran and "Lebanon" (he meant Hezbollah) to Assad’s Syria and Hamas. But not ISIS/ISIL/Daesh. So a non-nuclear Iran is a worse threat to civilization than the fake, beheading-addicted Caliphate. Espousing such a worldview Bibi would not even qualify as an extra on House of Cards – the one on Netflix. Meanwhile, the real Israel story – the illegal occupation/apartheid imposed on Palestine – continues, obscured by the usual gaggle of somnambulists in the Bibi-raided House of Cards, sorry, US Congress.